At Family Roots Dentistry, we strongly believe that nothing is as good as your natural tooth. That is why we do our best to be as conservative and minimally invasive as possible in order to promote and maintain the body’s natural teeth, tissue, and bone. However, there are certain situations when a tooth cannot be saved or restored in a predictable, long-term way, and it is in our patient’s best interest to consider the removal of a tooth or teeth (also known as an “extraction”). WHAT ARE REASONS WHY A TOOTH CANNOT BE SAVED AND AN EXTRACTION WOULD BE RECOMMENDED? Just like no two people have the same set of fingerprints, no two people have the same set of teeth. Whether or not a wisdom tooth needs to be extracted depends on a variety a factors unique to each patient. Wisdom teeth are the last teeth to erupt, and they typically emerge during the late teenage or early twenty years. It is common for wisdom teeth to become partially or fully impacted, where they remain underneath the gums and bone, because there is not enough room in the patient’s mouth for them by the time they are ready to erupt. In the absence of these reasons, we would not recommend wisdom teeth to be removed. If we do recommend that a wisdom tooth be extracted, this procedure is best completed during the late teenage or early twenty years when the tooth is not fully developed. This is because the removal and healing process during these years are much easier and faster for the patient. 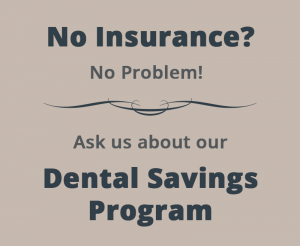 For more information or to schedule your appointment, please call us at (815) 318-0620 or visit our contact page.